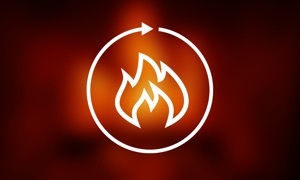 Cozy up with the warm glow and crackle of a roaring fire on your iOS device with FirePlace, the original mobile fire. Now, you too, can have a FirePlace! All without having to chop wood, find matches, or clean up the messy soot! 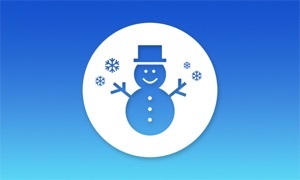 FirePlace is a Universal App (works on all iOS devices) and is now 100% Retina compatible and built for iOS7. With FirePlace you can create the perfect atmosphere for social and romantic occasions with the tap of your finger. 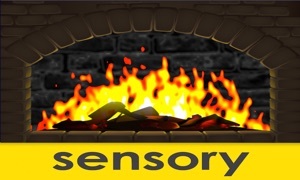 What could be cozier than relaxing with some nice music and a virtual FirePlace roaring and crackling, on demand. FirePlace is the perfect background to have on if you simply want to relax with your thoughts and wind down after a long day. The realistic sound effects from the logs are very soothing and together with the flickering flames, create a very warm ambience. Need an instant romantic setting for that special date? Want a relaxing crackling fire playing in the background while you curl up with that new book? 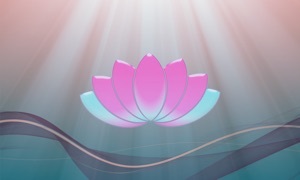 Need a soothing sound to fall asleep to? Turn on FirePlace! FirePlace is enhanced for both device orientations: Portrait view is great for running while docked, while Landscape view gives the best overall experience. Along with the beautiful roaring fire, FirePlace comes with a perfect accompanying crackle audio track. Also included are ten seasonal music tracks to play while the fire roars. To make your FirePlace experience even more special and personal, you can access your personal music library and play your own music with the FirePlace. Want the FirePlace to your TV? No problem! 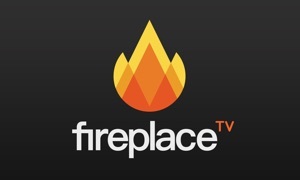 FirePlace can stream to your AirPlay enabled device with the tap of your finger! Start up the FirePlace and enjoy.